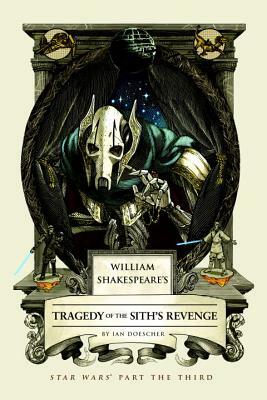 Experience the Star Wars saga reimagined as an Elizabethan drama penned by William Shakespeare himself, complete with authentic meter and verse, and theatrical monologues and dialogue by everyone from Bail Organa to Count Dooku. Something is rotten in the state of Coruscant! The schemes of Emperor Palpatine come to fruition as Padmé Amidala, Obi-Wan Kenobi, Yoda, and the other Jedi duel against the clone troopers of General Grievious and the nascent Empire.